Please note: Flights are scheduled on request. We will confirm availability within the shortest possible time after we receive your order. 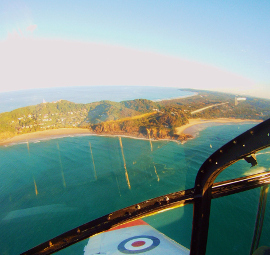 Join us on a low-level warbird coastal reconnaissance flight past landmarks such as the Cape Byron Lighthouse and Lennox Head. 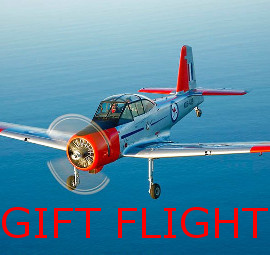 Experience the solid, smooth handling characteristics of the plane that served as the RAAF’s primary trainer from 1955 to 1974 and which is an iconic piece of Australia’s proud Air Force history. This is a fantastic introduction to the Winjeel and is ideal for friends or family to enjoy together. Suitable for all ages 3 and up. Powered by the venerable Pratt & Whitney R-985 9-cylinder radial engine of 450HP, widely regarded as one of the most reliable piston aircraft engines of all time! 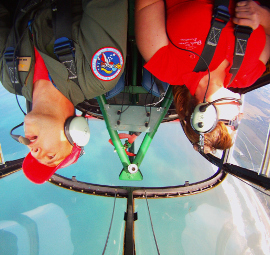 Relive your Warbird Flight Experience with Family and Friends! Classic Aero offers an optional high-definition video of your flight, recording every thrilling moment and bit of conversation from takeoff to landing. 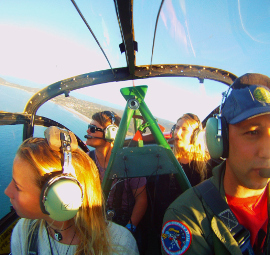 This allows you to enjoy your warbird flight experience to the fullest, as well as share it with friends and family. All pricing is per-flight (not per-person) and includes all fees and GST.